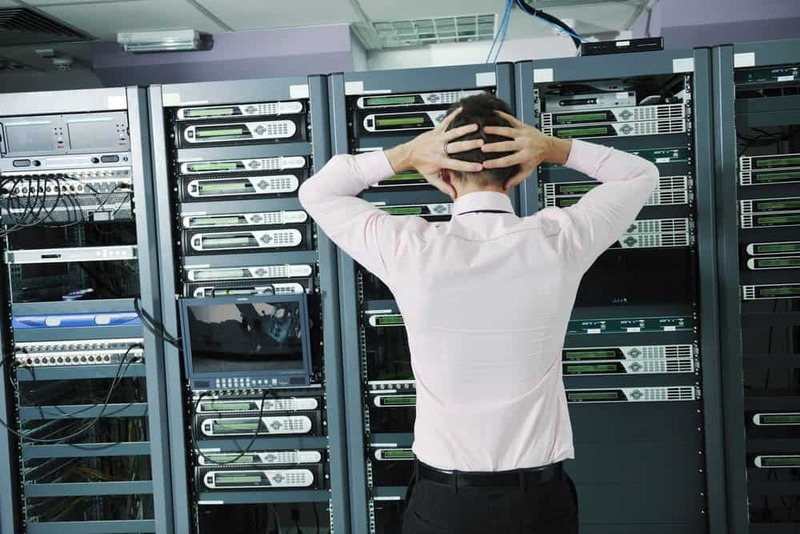 When the enterprise-grade server that forms the backbone of your business or organization fails, you need professional help to recover the data from your failed storage area network (SAN). You can only find the help you need from storage area network recovery experts who are well-acquainted with all of the ins and outs of enterprise business servers, with decades of experience in computer science and computer engineering, and powerful storage device analysis and data recovery tools at their disposal. You can find all this and more inside Gillware Data Recovery’s world-class data recovery lab in Madison, Wisconsin. Don't let this happen to you: when your enterprise SAN goes down, call Gillware's data recovery experts. What Are SANs, and How Do They Fail? SANs are the largest and most resilient of RAID servers, sometimes using dozens of hard disk drives. With storage space well into tens or dozens of terabytes, a large storage area network is typically carved into several or more iSCSI targets, also known as “soft partitions”. Even the most robust storage area network can fall victim to data loss. Many of our enterprise data recovery customers come to us with crashed SANs from EMC, IBM, and HP. It’s common to see nested RAID levels such as RAID-51 or RAID-61 with multiple drives acting as hot spares. Most of these SANs run with enterprise-class hard drives like the Hitachi Ultrastar. These storage area networks can have dozens of these hard drives providing dozens or hundreds of terabytes of storage space (and just as much redundancy). Although these SANs had extreme amounts of redundancy, they all still failed in the end. Sometimes all it takes is an unexpected power surge or power failure, or some other disaster. Even with redundancy, multiple hard drives can fail beyond what your storage area network’s fault tolerance can handle. Data can also be deleted, even entire iSCSI targets or LUNs. If your SAN has failed, our data recovery experts can help. We take all of the hard drives connected in your SAN, repair them as needed, and then make forensic images of them. It doesn’t matter if you have two or three dozen drives, or how many of them were hot spares. Every part of a SAN has a story to tell. Our RAID engineers will use the metadata on each drive. They will puzzle out your SAN’s geometry and sift through its contents. Our goal is to return as much functional, uncorrupted data to you as possible. We only charge you for our data recovery efforts once we’ve been able to get your most important data back. Our data recovery process begins with a free evaluation by our storage area network recover specialists to determine the cost of recovery work and our chances of success. There are no upfront costs for our evaluations–in fact, we even cover the cost of inbound shipping to our Madison, Wisconsin lab, even if you have two or three dozen hard drives to send us! (And yes, you do have to send in all of the drives in your storage area network, not just the ones that have failed). After we present you with a firm price quote, you have the option to approve or decline further recovery work. There are no upfront costs for our storage area network recovery services, and no charges if we are unable to successfully recover your critical data. After a successful recovery, we safely encrypt your data, send it back to you through secure channels, and completely remove your data from our facilities to ensure your privacy. When you have an enterprise-grade storage area network, the information on it is often so critical that every hour without it hurts your organization. You need that data back, and you need it back as soon as possible. At Gillware, we do everything in our power to address your urgent data recovery needs. Our emergency data recovery service options can get you and your SAN back up on your feet in no time.